Hello my lovelies! It's the weekend and it's gonna be a long one for me because Monday is a holiday in my country. I was dead tired yesterday but after a 10 hour sleep I'm good as new and ready to start my Saturday. But before I take on today's challenges, I thought I would squeeze in a tiny post on the blog. It's a simple pink manicure, a color I don't normally post, but one that goes great with my mood today. The star of this manicure is Rockstar Pink from the Sally Hansen Xtreme Wear collection, a glitter that has been in my collection for quite some time. I initially got it for frankening but found out that it's gorgeous on its own as well. 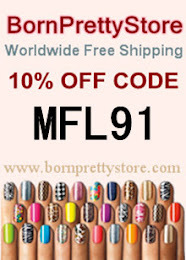 It is a bit too much for me to use it on each nail though, so I settled for an accent nail, something that I rarely do. 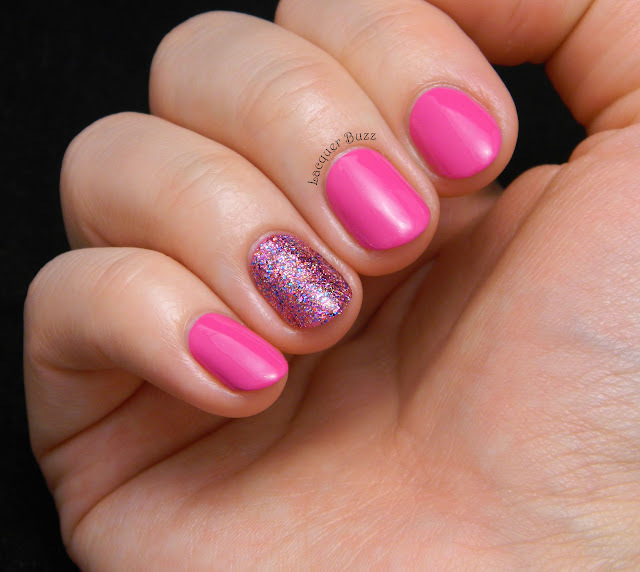 Rockstar Pink consists of a clear base with tiny bright pink, blue and gold glitter pieces. It's pretty simple but looks amazing in real life. On my other nails I used one of the few bright pinks I own, OPI Pink Flamenco. I'm not a fan of pink on my nails and when I do use it I like it to be really bright. This one is just perfect for the job. It didn't photograph accurately at all so I had to alter the photos. They still are a bit off but I just couldn't make them better than this. Rockstar Pink has very small glitter in it so it's harder to make it opaque. 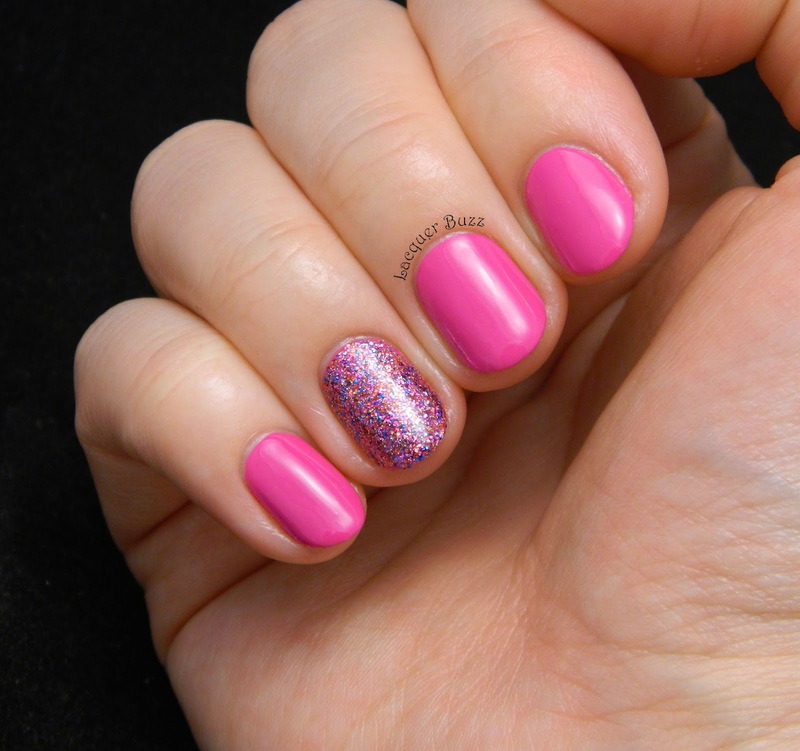 I used one coat of Pink Flamenco as a base and two coats of Rockstar Pink for the accent nail. This manicure is definitely not what I usually wear. It's nice to switch it up sometimes though and I'm sure many of you will like this. 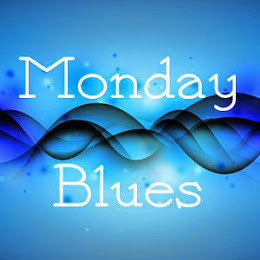 Hopefully I will get another post up tomorrow but if not, I will surely see you Monday for some blue! Have a great weekend! It looks great as the accent nail and with that pink. I love Rockstar Pink! I use that polish all the time. 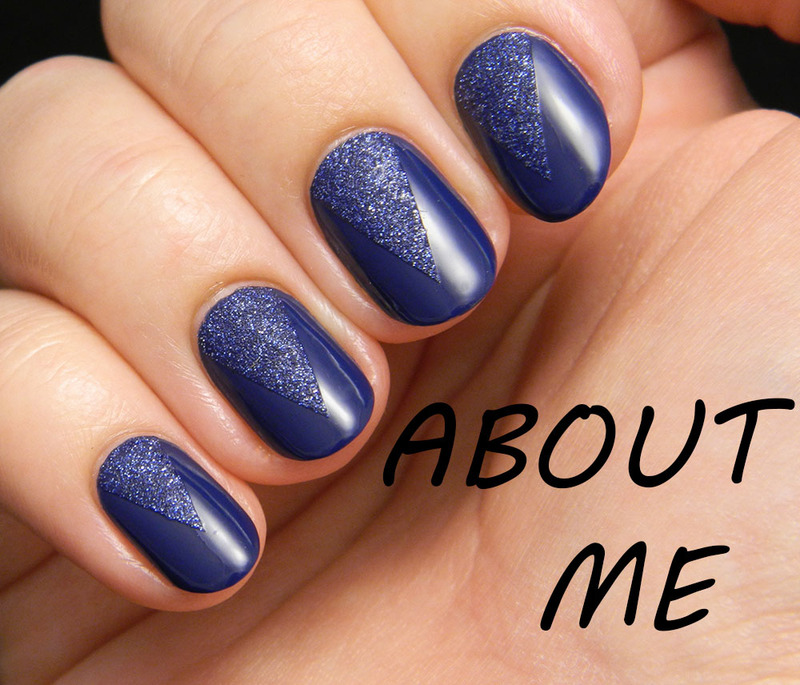 I've even seen a blogger that used it with a black polish to make their own version of Butter London's The Black Knight. 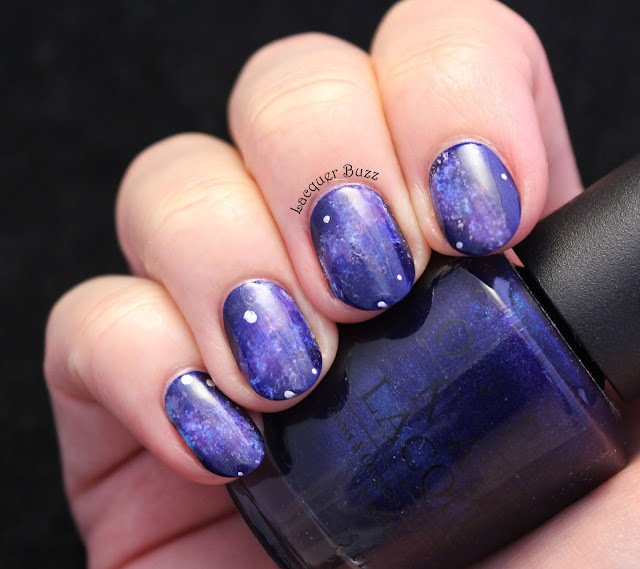 That was years back when that polish was on everyone's radar. Arata pur si simplu wow! Sunt foarte curioasa cat le-ai tinut pe unghii :)) E extrem de girly si vesela manichiura!